You can now get cash off-campus without paying any fees at Allpoint ATM locations located at Target, Target, CVS/Pharmacy, Walgreens, 7-Eleven, and more! In addition, the on-campus ATM location has been moved to the Student Union (next to the Cafeteria). 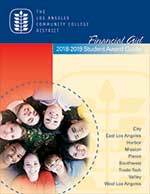 The Los Angeles Community College District (LACCD) announced that all Higher One accounts used for financial aid disbursements will become Bank Mobile Vibe effective on June 1, 2016. That’s what you can expect from your financial aid disbursements. Your new vendor, Bank Mobile Vibe, reduces or eliminates several fees you were charged with your former Higher One account. These changes do not impact your account balance, will not change your PIN or require any action on your part. Higher One accounts becomes Bank Mobile Vibe accounts on June 1, 2016. There will be no change in your account number. You do not need to get a new bank card. You will be able to access cash from more locations off campus without paying a fee. The number of fee-free ATM locations increases to 55,000 nationwide. Greater access to your money means you no longer have to go to campus to withdraw cash or pay fees at many ATMs. A new on-campus ATM has been installed on the first floor of the Student Union (next to the Cafeteria) that you can draw funds from. located at Target, Target, CVS/Pharmacy, Walgreens, 7-Eleven, and more! In addition, the on-campus ATM location has been moved to the Student Union (next to the Cafeteria). 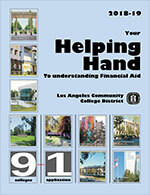 For more questions about this service, please contact the LAVC Business Office.